Think of our technical indicators as either being “on” or “off”. 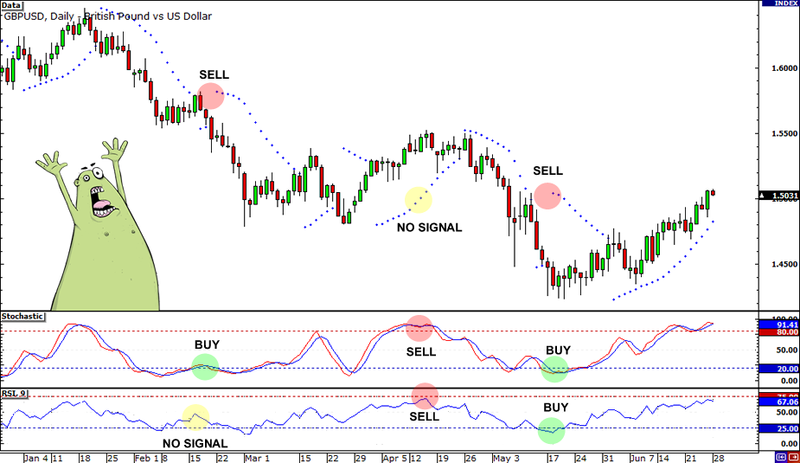 More specifically, an oscillator will usually signal “buy” or “sell” with the only exception being instances when the oscillator is not clearly at either end of the buy/sell range. Each of these indicators is designed to signal a possible trend reversal, where the previous trend has run its course and the price is ready to change direction. 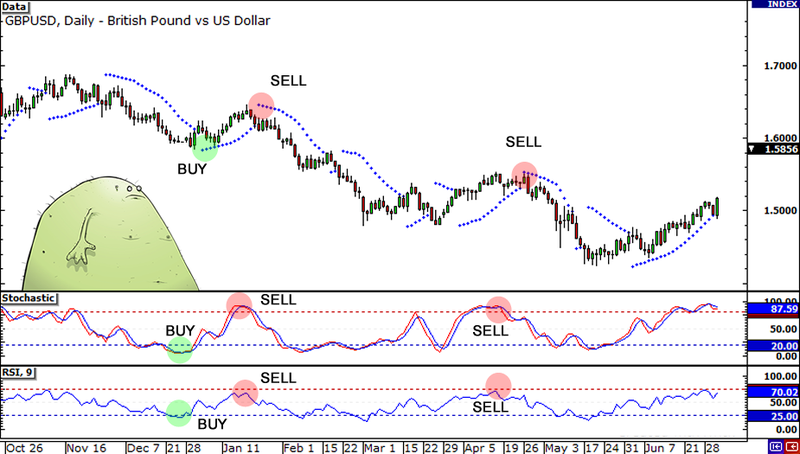 Around mid-April, all three oscillators gave another sell signal, after which the price made another sharp dive. Now let’s take a look at the same oscillators messing up, just so you know these signals aren’t perfect. During the second week of April, both the Stochastic and the RSI gave sell signals while the Parabolic SAR didn’t give one. Move on to the next one that does meet your criteria.